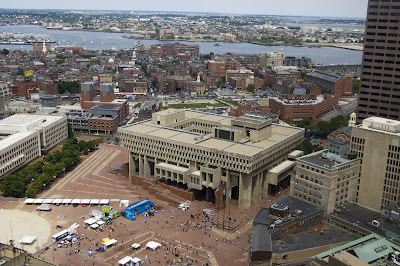 Boston City Hall and Plaza. From this vantage point, one of the ugliest buildings in Boston actually looks pretty good. Click here for ground level view of city hall.